What exactly is a piccolo latte? Pretentious moi? : You don't have to be a coffee nerd to appreciate a piccolo latte. It's small, perfectly formed, and when served in a Duralex demitasse it looks like a caffe latte that's been put through the Honey-I-Shrunk-the-Kids machine. It often wins the Most Pretentious Coffee Order award, and tests our 'strayan pronunciation of Italian vowels into the bargain. That's a lot of stuff in a small – or should I say piccolo – package. There is, naturally, a bit of debate about what a piccolo latte actually is: a single espresso shot (30ml) topped up with steamed milk in a demitasse glass (about 80ml), says Padre's Joel Corb, while others say a double ristretto (20ml) topped up with a bit more milk in the same size glass. Whatever, it's delicious, and the perfect way to enjoy lighter roasts of specialty coffee with milk: the acidity cuts through the milk but is also somewhat moderated by it. 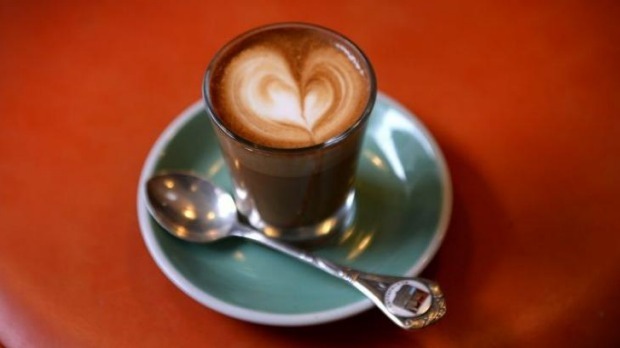 One origin myth says the piccolo latte was invented in Sydney: the story goes that baristas and roasters started drinking piccolo-style coffee to check how their brews and roasts were tasting with milk throughout the day, as an alternative to drinking endless caffe lattes (and getting a case of dairy bloat on top of their caffeine psychosis). The piccolo's cousins, which it shouldn't really be confused with, are the macchiato and the cortado. The macchiato, an old Italian favourite, is an espresso shot "stained" with a little steamed milk and served in an espresso cup. The piccolo is a common order in Sheridan's border city espresso bar – more evidence, if not proof, that the piccolo isn't just a pretentious inner-north/inner-west thing. Meanwhile, in San Francisco they drink a Gibraltar: "shorter than a latte, taller than a macchiato", says the Food Republic website, invented at Blue Bottle Coffee Co and named after the glass it's served in, part of a line of square-sided tumblers from the Ohio glassware manufacturer Libbey Inc. But the Gibraltar tumbler Blue Bottle uses holds 4.5 ounces – about 130ml – so it's actually taller than a piccolo: perhaps it should be called the "piccolo grande".